"Will definitely be recommending your courses to colleagues internally and externally"
Schedule a group training class at your facility or at Digistor Training Centre utilising our dedicated, high-end workstations. Plenty of personal attention from committed instructors are our standard. Below you will find a sample of available classes, if you can't see the class you need here or you'd like to arrange custom training to suit your organisation, deadlines and requirements, please contact us. Cinema 4D is one of the most impressive 3D modelling applications and one of its greatest features is its simplicity of use. This course is an introduction to how you or your team can create 3D images quickly using Cinema 4D’s intuitive design and logical workflow. In this introductory course learn about using Cinema 4D for animation, lighting plus camera techniques, typography and objects. This Extension day is designed for those who have experience in 3D or have completed the Cinema 4D Express course at Digistor and would like to learn more on how to become skilled in this area of production. Learn how to incorporate and create three-dimensional (3D) graphics as a form of animated or still digital media. Smoke® video effects software brings editing and effects together like never before. With the effects tools you need, integrated within a standard, easy-to-use timeline environment, Smoke helps you to increase your productivity. For further information on how Digistor can assist with your Smoke® training requirements please contact us. Learn how to navigate Adobe Premiere Pro while utilising Adobe Premiere Pro within the Creative Cloud workflow. Our 2 day class is specially designed for editor’s who wish to increase their skill set and come up to speed with Premiere Pro. We also offer customised training to suit your requirements. Let us know what you want to achieve and we will design the course content to suit your needs. Adobe After Effects CC for Compositing classes are available to suit your requirements. Schedule a class for your team now. Our instructors are experienced in editing and post-production pipelines and real-world use of the tools they teach. You and your team will receive the benefit of practical guidance from specialists who understand deadlines and workflow and are committed to staying up-to-date with developments and passing this information onto customers. Digistor offers customised on-site Maya® training on request using real world specialists who understand deadlines and workflow and are committed to staying up-to-date with developments and passing this information onto customers. 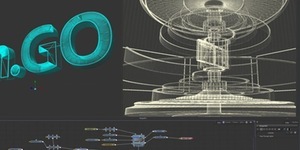 Maya® 3D animation, modelling, simulation, rendering and compositing software offers a comprehensive creative feature set for 3D computer animation, modelling, simulation and rendering on a highly extensible production platform. Our trainers specialise in photo realistic render techniques, advanced texture creation, architectural visualisation plus Cinema 4D and After Effects integration. They have up to 10 years experience providing tuition to Industry professionals and educators at tertiary level. If you would like advanced training or would simply like to know how to integrate Cinema 4D into your workflow contact Digistor today to discuss the options and request a quotation. 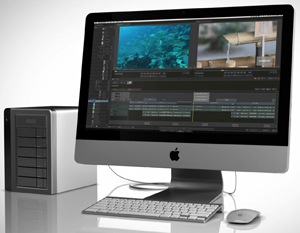 Blackmagic Fusion training designed to provide a broad understanding of compositing in Fusion’s node based environment. The training will look at working with the interface to compositing in multi-planed 3D environments, working with particle effects, and Fusion’s integration with DaVinci Resolve. Pending trainer availability. For organisations, JAMF Software certification courses are designed to increase your IT team's proficiency in the Casper Suite and Apple platform. For macOS and iOS administrators, these in-depth, hands-on courses will provide you with ideas and solutions for the many IT management challenges you face every day. Courses include Casper Certified Technician, Casper Certified Expert & Casper Certified Administrator. Digistor offers customised on-site or remote training in V-Ray for 3ds Max or Maya. 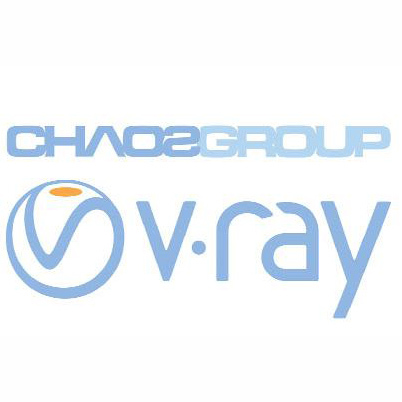 Learn at your facility or remotely with a Chaos Certified V-Ray Expert. Contact Digistor for a more information and a quotation. For an additional fee Digistor also offers the V-Ray Certified Professional Exam. 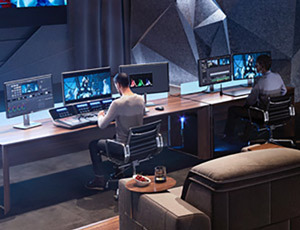 Digistor, a Blackmagic Design Certified Training Partner, brings you the definitive 3-day course for DaVinci Resolve using the Blackmagic Design Certified Curriculum. You will learn from our experienced and Certified Blackmagic Design Trainer to be competent and productive in DaVinci Resolve and have the option to take the online Certification Exam to become a Certified Operator. Digistor, a Blackmagic Design Certified Training Partner, brings you the definitive 2-day course for DaVinci Resolve Color. You will learn from our experienced and Certified Blackmagic Design Trainer and professional colourist to be competent and productive in DaVinci Resolve colour correction. Refund/Cancellation Policy For refund/cancellation policy see full terms and conditions.